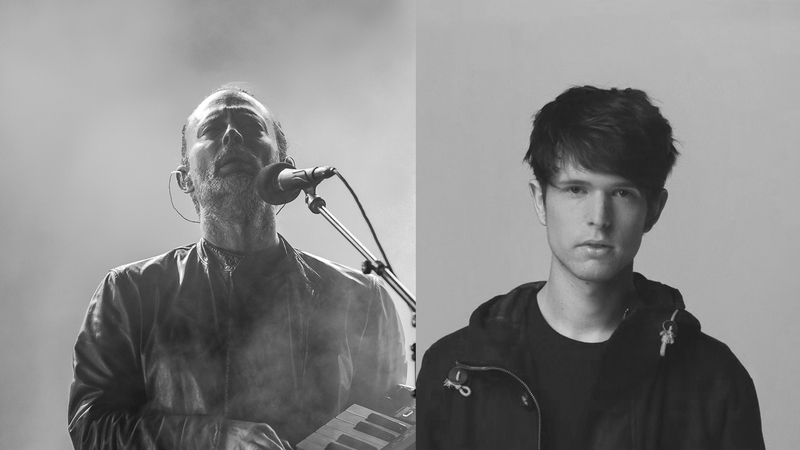 Grab your tissues, people, because James Blake is officially joining Radiohead on tour. Announced today via Twitter, the "Burn The Witch" five-piece have enlisted the synth mastermind for select dates on their European leg in support of 2016's, A Moon Shaped Pool. Excuse us while we scan Expedia for flights all day. While Blake will be opening for the Grammy Award-winning group at their two Italian shows in June, the "Creep" musicians have also revealed that Junun (guitarist, Jonny Greenwood's project with Shye Ben Tzur and the Rajasthan Express) will be joining them in Oslo, Stockholm, Dublin, and Manchester. Also on the roster for their Manchester date? Film score composer, Oliver Coates. If there was ever a time to book your trip overseas—it's now. After their North American run, the English rockers will be headlining a handful of EU festivals as well this summer including Glastonbury, TRNSMT Fest, NorthSide, and Main Square. Watch Radiohead perform their cinematic track "Daydreaming" at Lollapalooza 2016 below, then make sure to Track them on Bandsintown so you're always up to date!